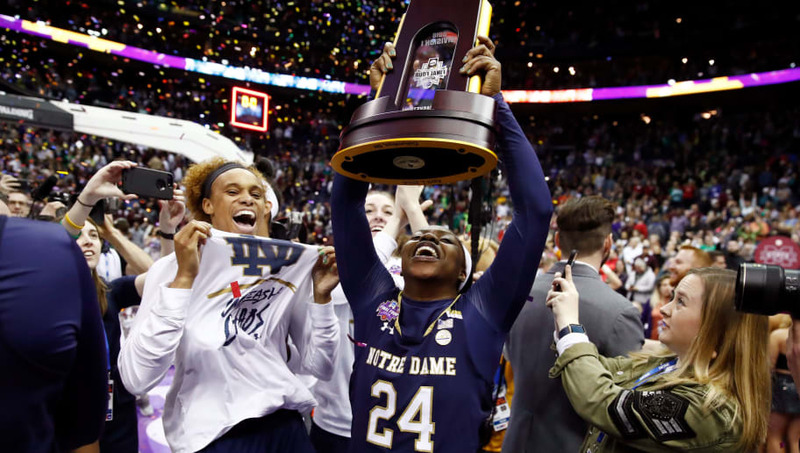 Arike Ogunbowale became an overnight sensation over the course of 48 hours during the 2018 NCAA Women's Final Four after two insanely clutch shots in back-to-back games to win it all for Notre Dame. She was named the NCAA Tournament Most Outstanding Player, and won Female Athlete of the Year in the ACC. With such an incredible resume at such a young age, you might be curious about the life of Ogunbowale. Here are five things you may not have known about the Fighting Irish star. Not only does Ogunbowale have some crazy moves on the basketball court, she has them off the court as well. She became the first active NCAA athlete to compete on ABC's Dancing with the Stars, a testament to her skyrocketing fame and fancy footwork alike. Kobe Bryant is Arike's favorite basketball player of all time, and how could we blame her for that? She channels the Mamba Mentality when it matters most. 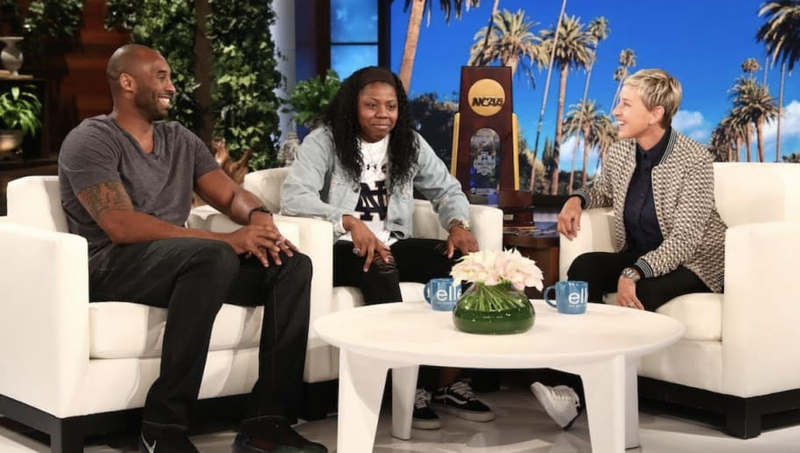 Arike was in for the surprise of her life when Kobe dropped in on her appearance on Ellen, and the excitement didn't end there. 3. ...and He Gave Her Two Signed Jerseys on 'Ellen'! 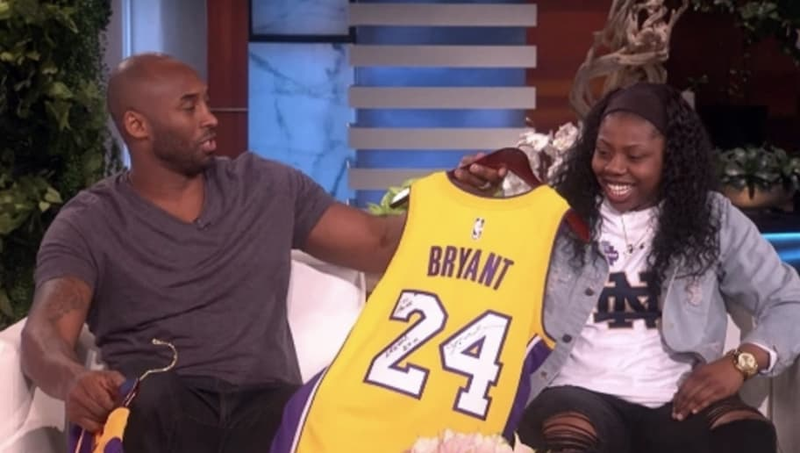 Not only did Arike get to meet one of her idols, but Kobe also gifted her two signed jerseys as well. Why two, you might ask? Well, the Mamba was kind enough to bring one for Arike's dog as well. A canine has never been so lucky. 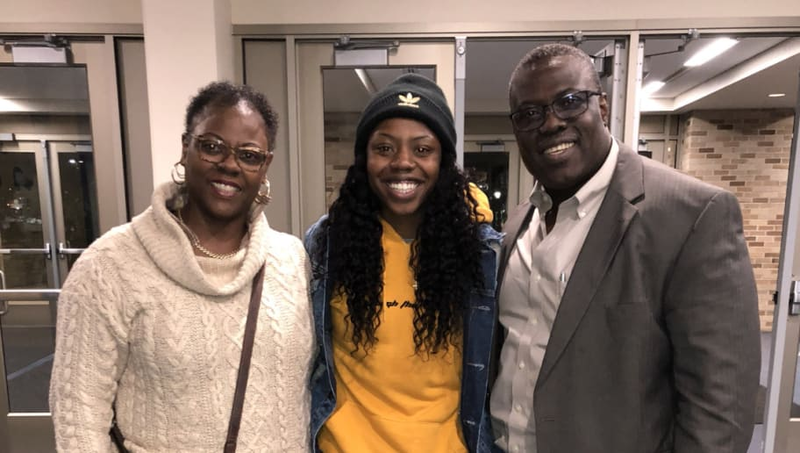 We often hear about how players have grown up with their fathers coaching them, but that wasn't initially the case for Arike. Her mother Yolanda started to coach her in the first grade, and would continue to do so until her dad later stepped in. This is clearly a family affair. 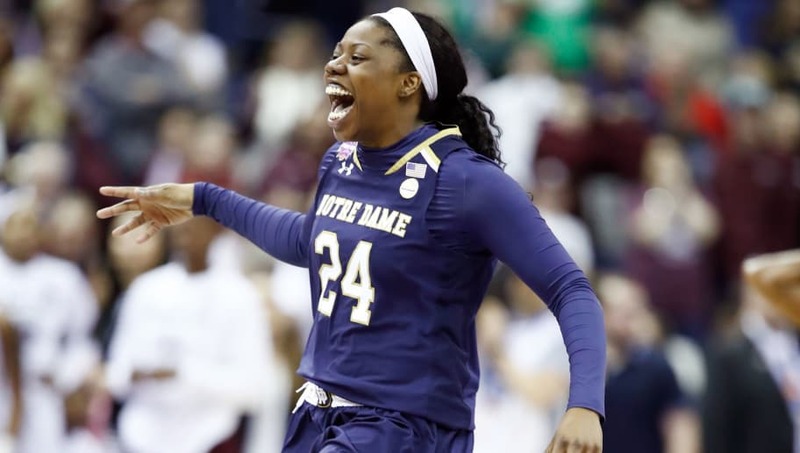 Arike Ogunbowale might sound like a mouthful to some, but the name Arike means "something that you see and cherish." That seems quite fitting, given her propensity to close games out with amazing clutch moments. Arike comes from Nigerian descent on her father's side, and she proudly represents her lineage with each passing day.